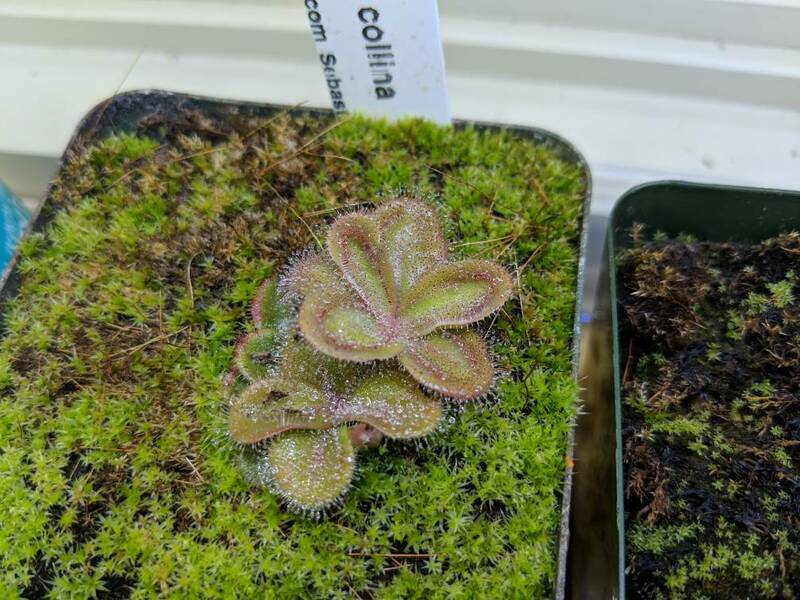 I bought a Drosera cistiflora and a Drosera squamosa hybrid at the end of the summer and so far the squamosa has been going nuts with growth, but the cistiflora slept in an extra two months and hasn't really made a whole lot of growth since emerging. It's just a tiny, tightly packed rosette with no dew. I even hit it with some diluted maxsea to help it out, but it's still just been kinda sitting there. I'm hoping that it is just busily working on its root system behind the scenes, but I obviously can't tell. The squamosa x collina is growing in the same exact conditions and is unexpectedly vigorous. Any ideas what I might change to make it happier? Mine is doing similarly to yours right now and is also growing alongside of my tuberous sundews. This is my third year with it and if past years tell the tale it will shoot up a stalk sometime in the next month or so. I have no idea why it just becomes a leafy button for awhile first but that seems to be the pattern. I think the Maxsea is a good idea and I have been feeding mine the same. I notice in your photo the rosette is amassing new growth in the center which looks ready to burst out at some point. They do produce large, woody roots and that might be what it is up to. Thanks! I'm glad to hear that this is normal. I just wanted to make sure that I wasn't doing something wrong. I can't wait to see it explode into growth. There's not that much time left in the growing season for these guys. I need to fatten them up so they multiply. 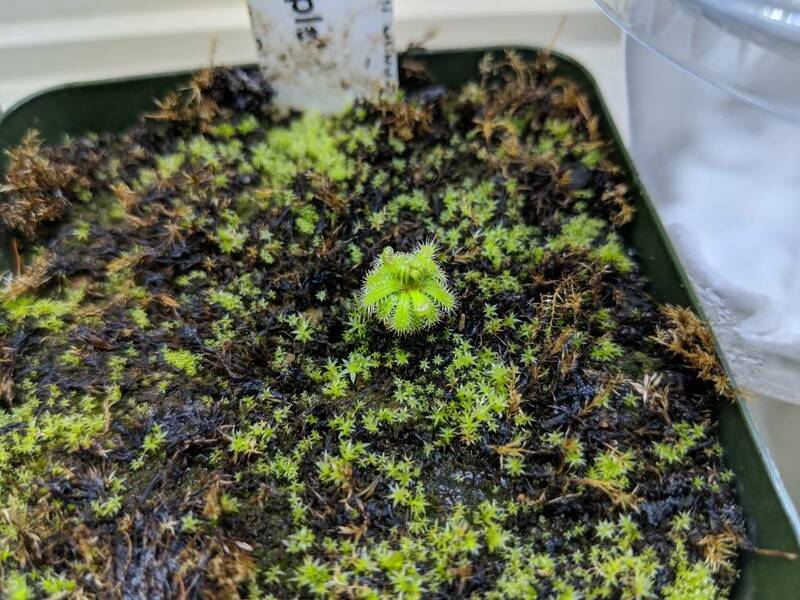 D. cistiflora won't wake up at the same time as tuberous sundews; it's normal for it to not show up until late December/early January (mine finally showed new growth only a couple days ago), and it will probably want heavy feeding and as strong a light as possible to try and encourage it to grow well and flower. -lease keep us posted with pics! I am definitely curious to see how things change for it!  Happy to come along for the ride through the forum. Yeah! I remember kind of freaking out when I bought it because the squamosa was already showing and the cistiflora was nowhere to be seen. I even emailed California Carnivores about it and they just told me that it's too early for it. Turns out they were right, lol. I'll be sure to post pics as it develops. I'm super curious to see what happens. It has been my experience that this purple variety of cistiflora is a very late season grower, as others have stated. Last year, my larger one came up several months early and did the same thing - a little rosette with no dew. Once the proper time arrived (around now) the smaller plant came up and the larger one started to grow normally. So basically, there's nothing in particular wrong, and you just need to wait.